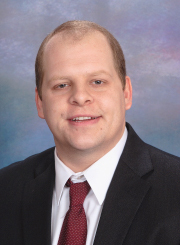 PRESENT POSITION:Mr. Brian Blase is a Valuation Consultant in the St. Louis area office of Klaris, Thomson & Schroeder, Inc.
PROFESSIONAL AFFILIATIONS:Mr. Blase is an Accredited Senior Appraiser (ASA) in the valuation of businesses by the American Society of Appraisers. He is the current Secretary of the St. Louis Chapter of the American Society of Appraisers. EXPERIENCE:Active in the appraisal profession since 2010, Mr. Blase has prepared valuations for sale/purchase, SBA financing, gift & estate taxes, corporate planning, ESOPs, and due diligence studies. EDUCATION:Mr. Blase holds a BS in mathematics and business administration, with a concentration in management information systems, from the University of Notre Dame. Mr. Blase has completed BV201, BV202, BV203 and BV204 offered by the American Society of Appraisers. Mr. Blase has attended several appraisal courses and seminars conducted by the American Society of Appraisers and the Institute of Business Appraisers. Adams Consulting & Programming, Inc.
G. Meredith Funeral Homes Ltd.
Holcomb Foundation Engineering Co., Inc.
Russ Erlinger Crane Service, Inc. The Pride Group Pty Ltd.
J. Berg & Associates, Inc.